Lots of people come to visit Bath because of Jane Austen’s history. I did the same a couple of days ago, and it was a great journey! 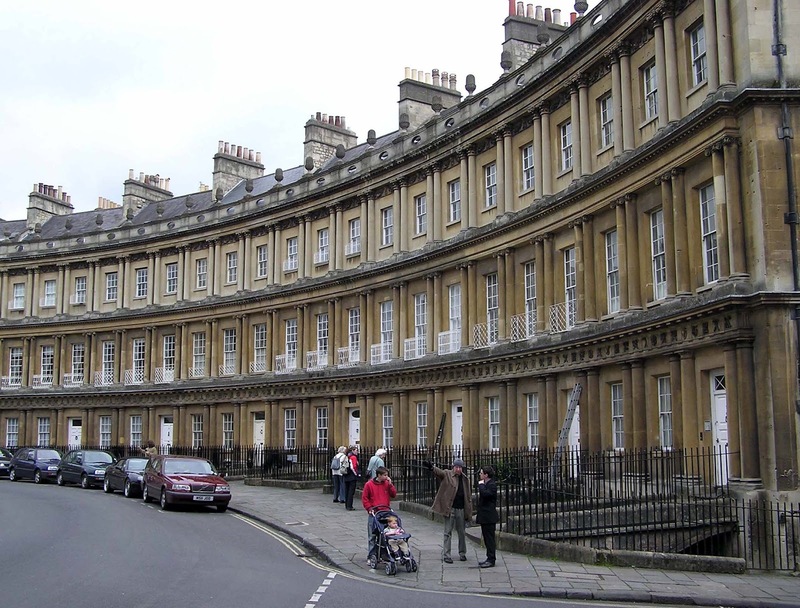 First of all, Bath deserves to be seen for its architecture and the well-known Roman Baths. I’m not a big architecture fan but it worth seeing it all the same. The most impressive places were definitely The Royal Crescent and The Circus, where you can appreciate wonderful architecture of 200 years-old Georgian buildings. People who have the chance to live are very lucky and should never yield their properties. But let’s talk about the Roman Baths. It is possible to visit them for approximately £15 pounds. I will spare you the complete history of the site as it represents almost 2000 years of history that I already forgotten. However, I think the following pictures will demonstrate the beauty of the site, and it’s quite impressive to think people were bathing in this water two thousand years ago. After reading some French blog articles about Bath, I wanted to a place mentioned in almost every blogs: Sally Lunn’s. It is known to be the Jane Austen favourite tearoom and a room she used to seat is now dedicated to her name. If by chance you have the opportunity go there, I strongly recommend you to taste the original “buns” with the chocolate or cinnamon butter, it is a treat! You also have the possibility to visit the kitchen (transformed in a museum) where the buns were cooked for 300 years. Finally, if you can afford it, you must go to the Thermae Bath Spa. 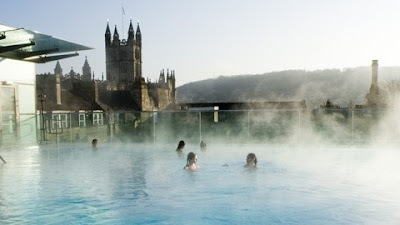 Situated next to the Roman Baths, you have the possibility to bathe in the only natural thermal waters of Britain. I spent half a day there, enjoying 2 hours of spa-sessions (including the access to an open-air rooftop with a beautiful view on the city, and to the various aroma steam rooms) and a great back massage (with the ringer of Jessie J haha!). It is a bit expensive (I paid around £80 for this spa-package) but it is something to do! 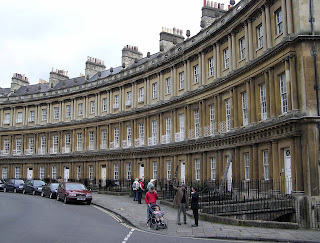 Well I hope this article will make you want to visit Bath. I only wish we had stay a bit longer, as I didn’t have time to visit the Jane Austen centre, and many other little places situated in the city centre.